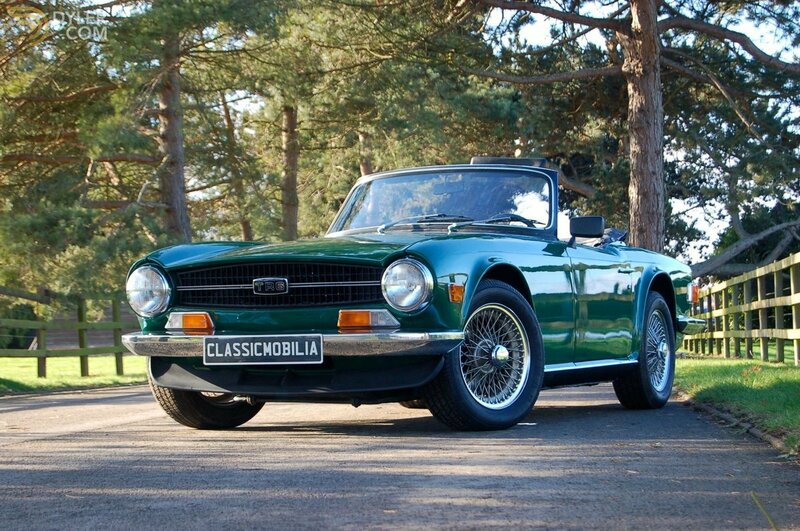 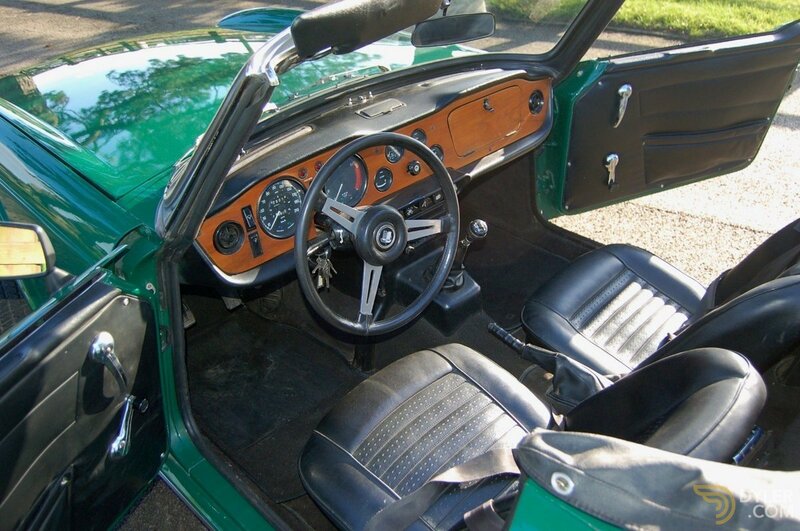 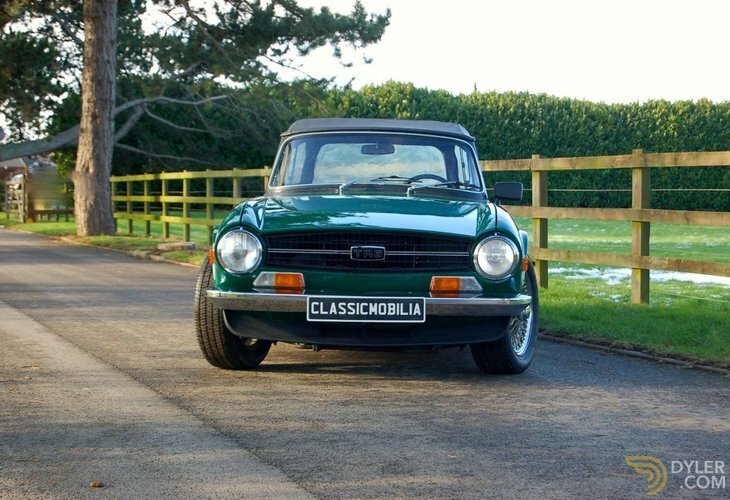 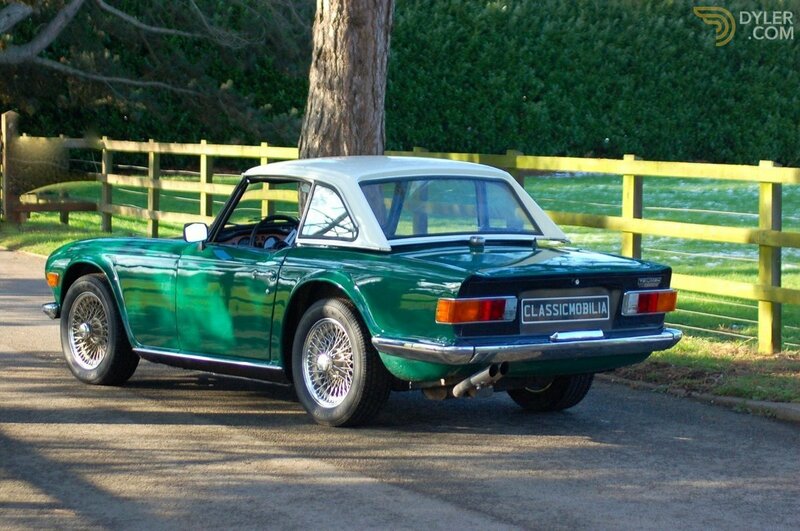 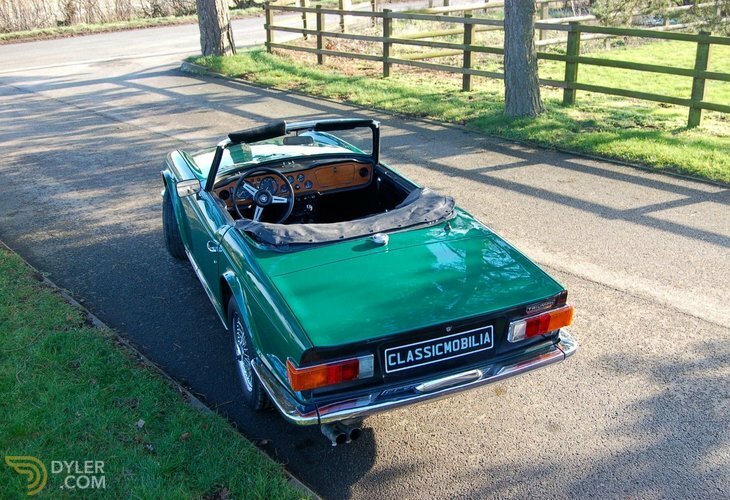 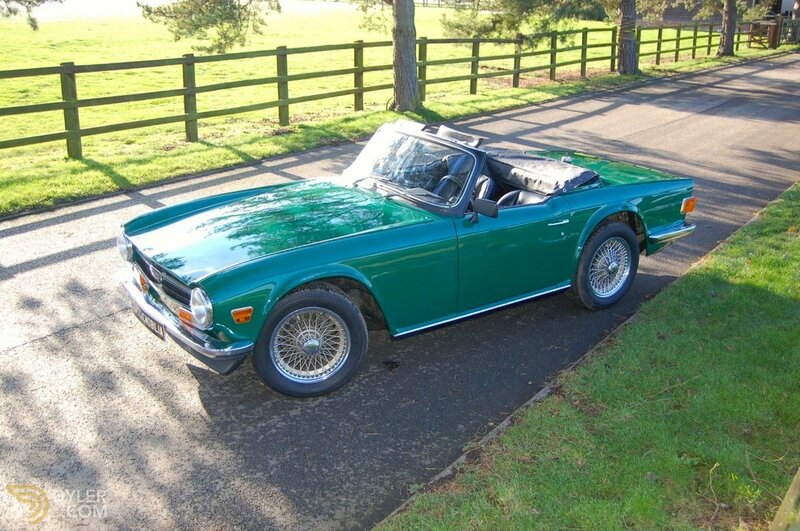 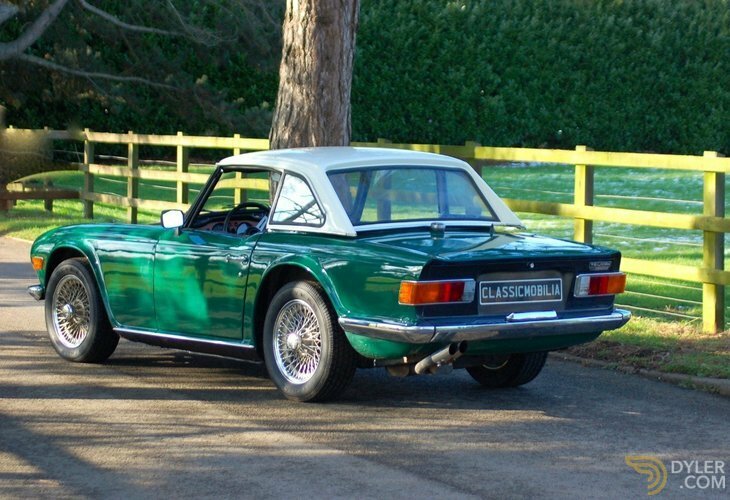 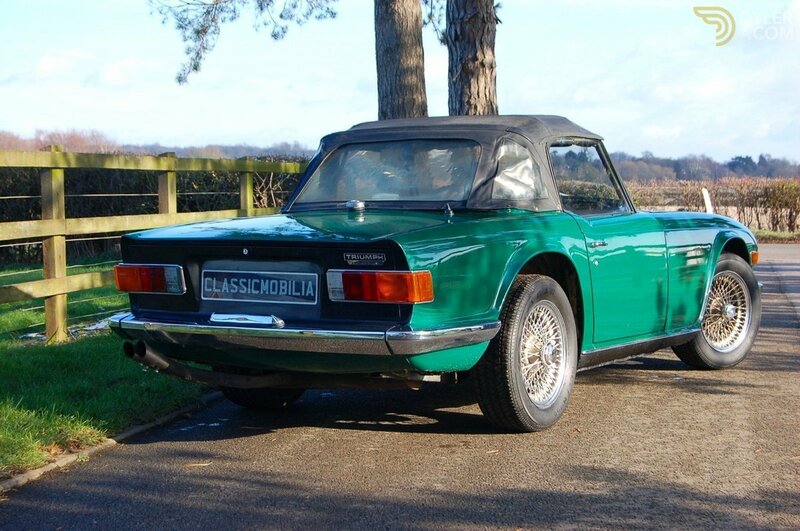 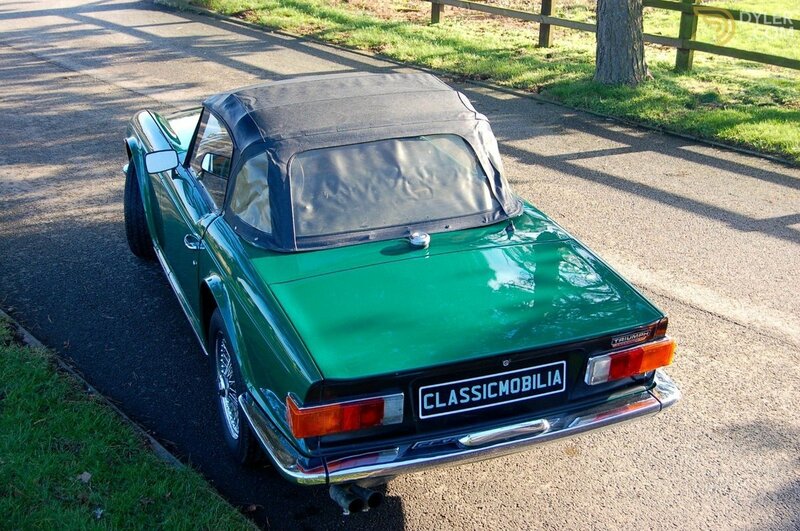 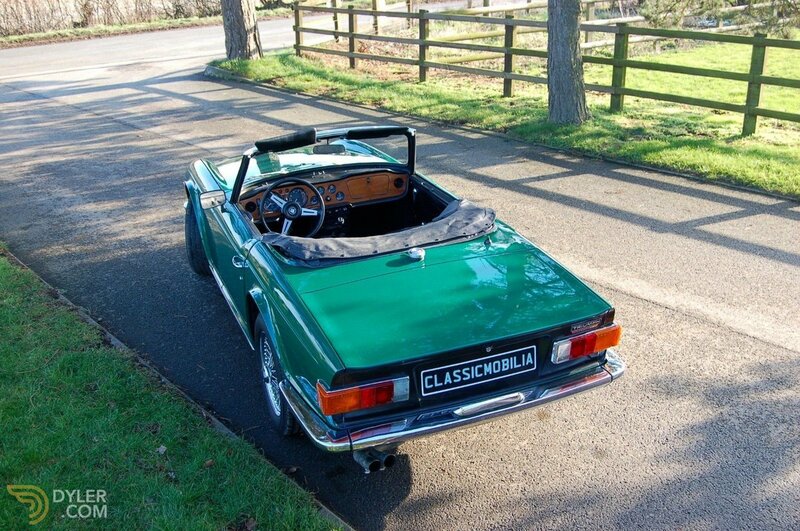 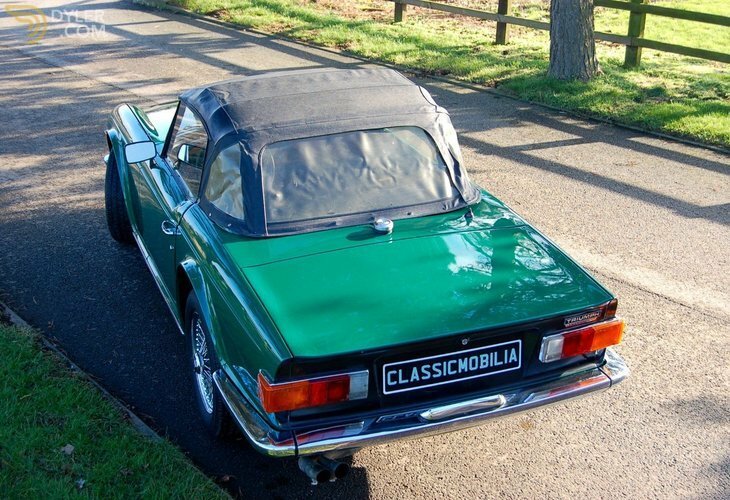 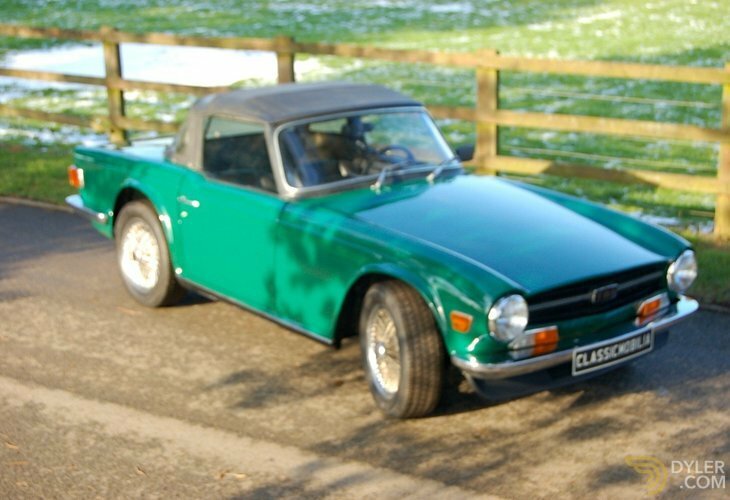 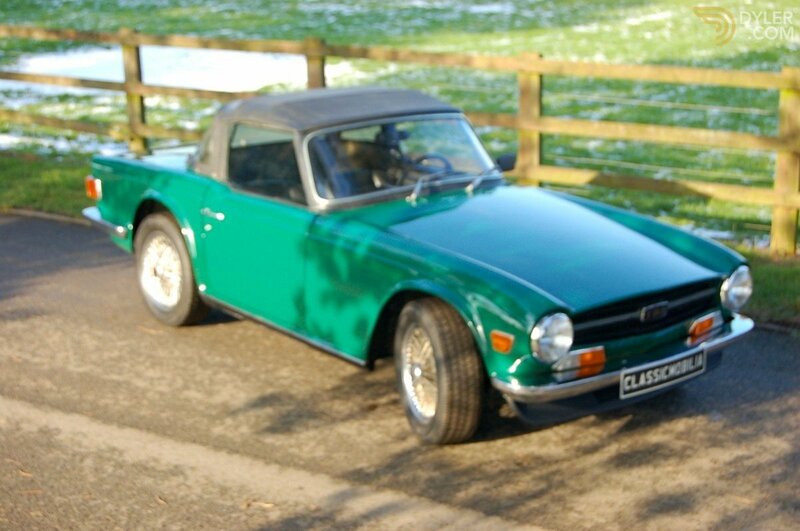 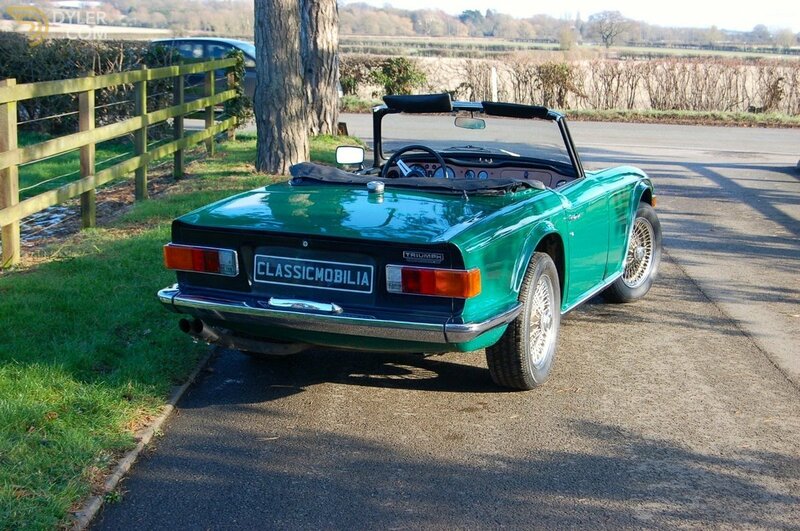 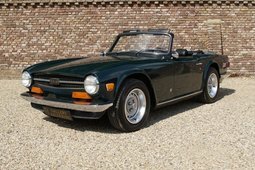 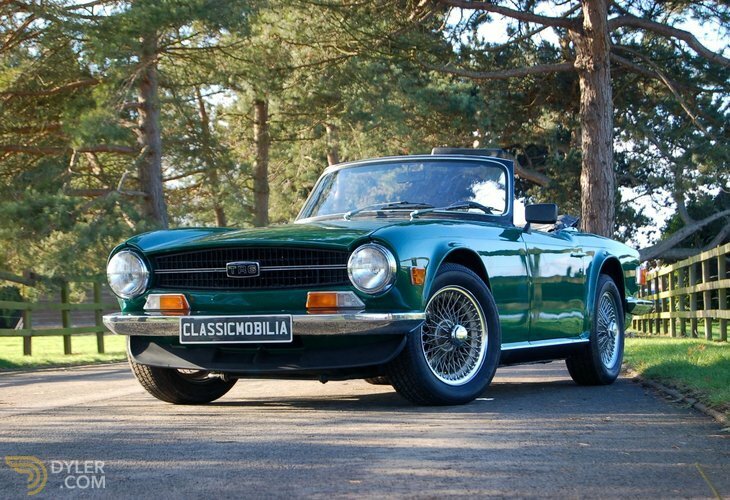 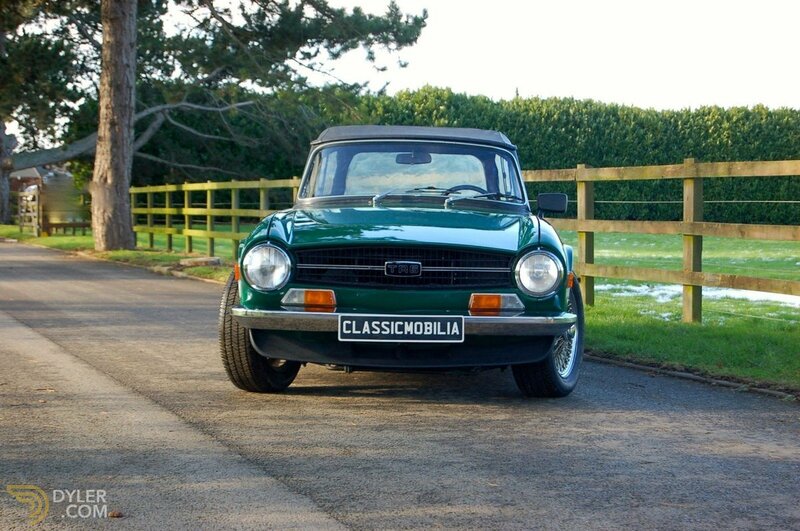 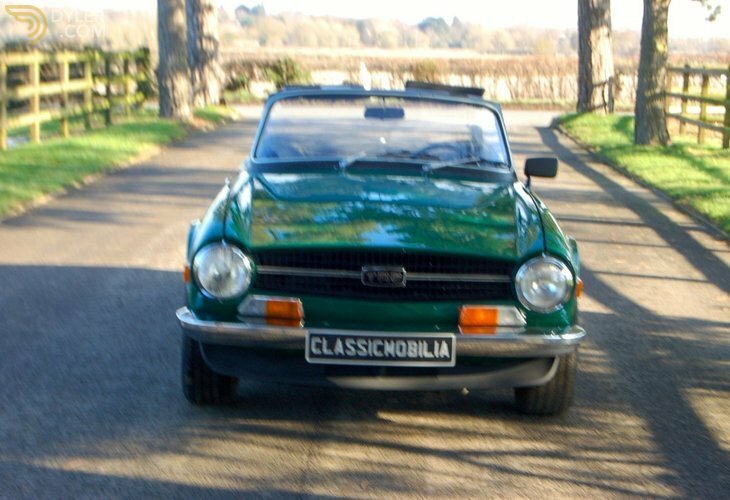 The Triumph TR6 sports car built by British Triumph Motor Company between 1968 and 1976. 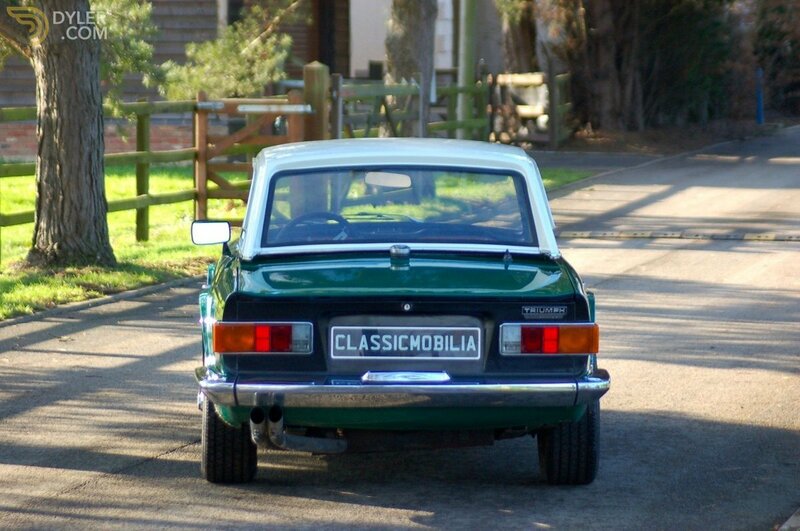 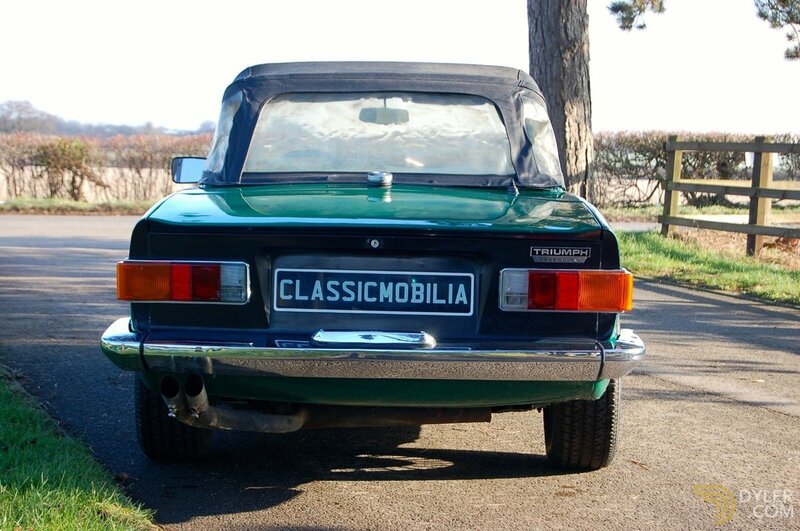 It was the best-seller of the TR range when production ended, a record subsequently surpassed by the TR7. 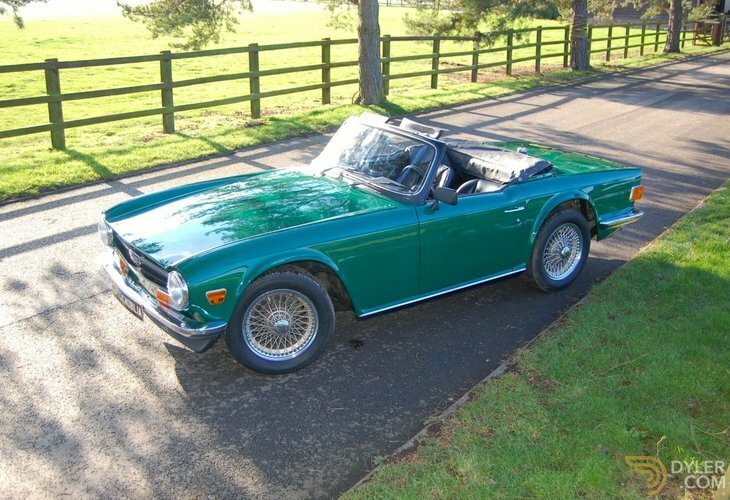 Of the 91,850 TR6s produced, 83,480 were exported; only 8,370 were sold in the UK. 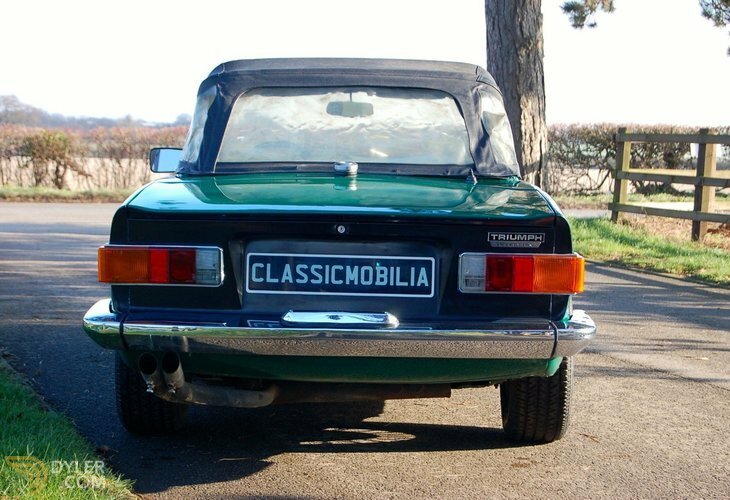 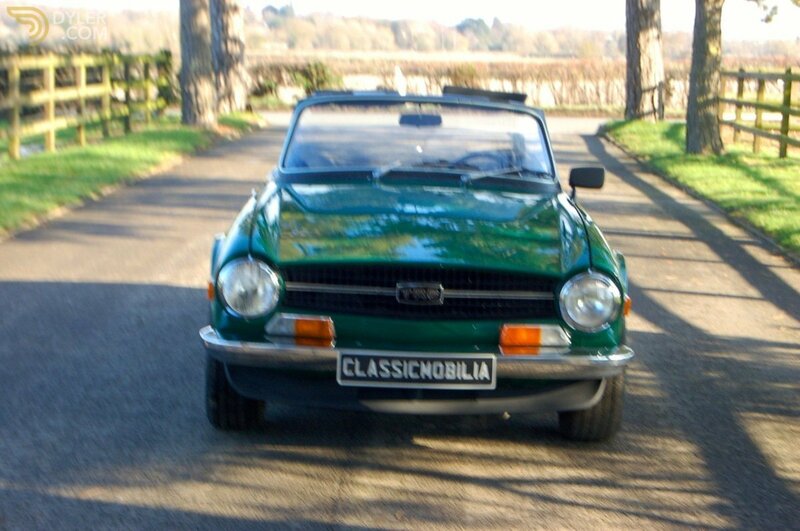 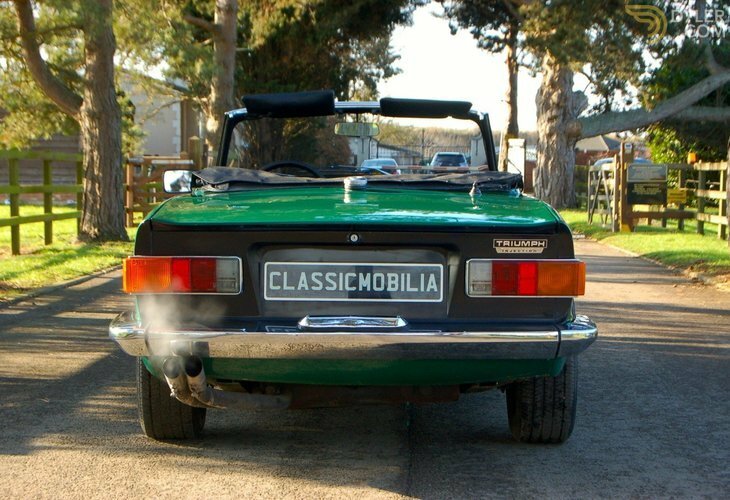 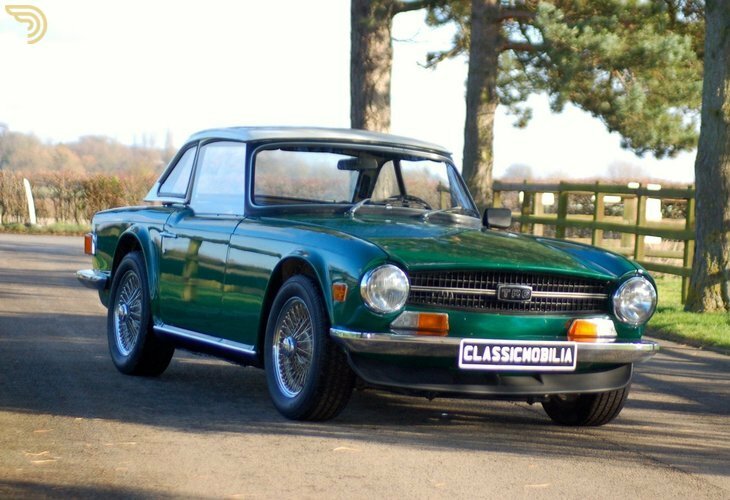 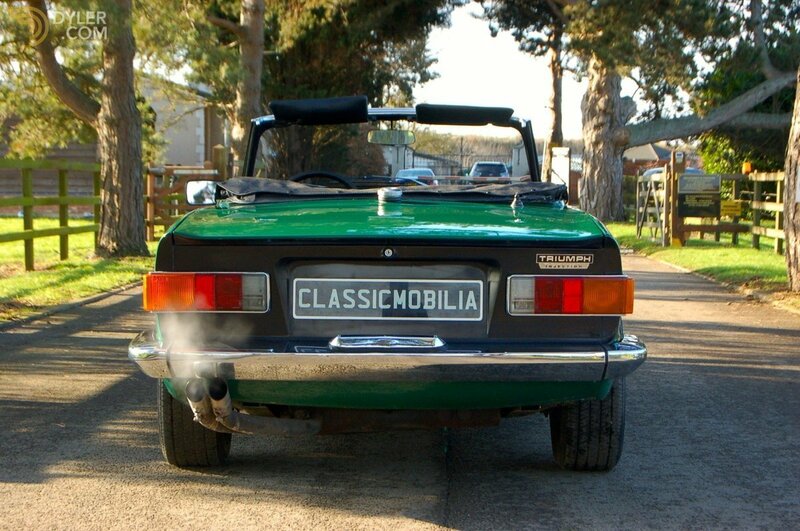 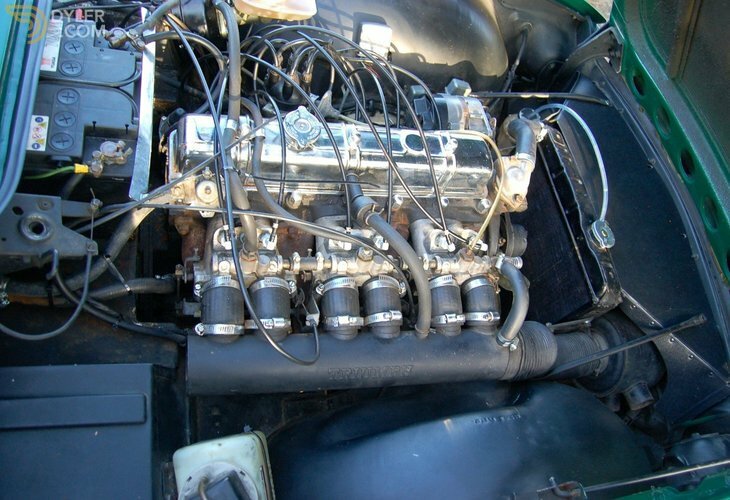 This 1969 Triumph TR6 with the Lucas fuel injection fitted was supplied as a personal import to Italy and was first registered in May 1969. 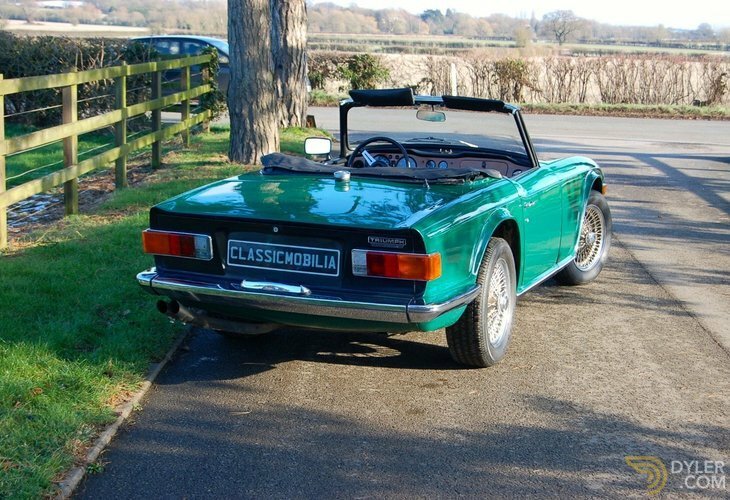 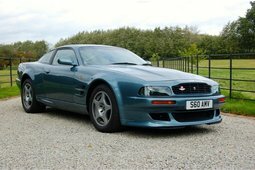 The original specification was Heater, Laminated windscreen, overdrive, white hardtop 165x15 Dunlop SP tyres (New ones now fitted) and European specification lights. 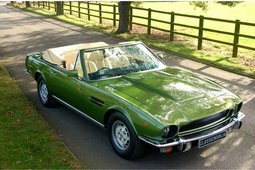 The car was originally painted white, but has been totally repainted green at some time and has a very good finish, with no rust visible at all. 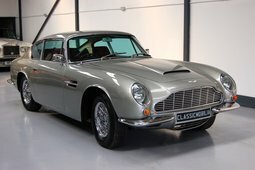 The car's history is very little until it was purchased by the current owner/collector from a large Spanish collection in 2014. 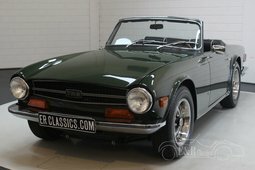 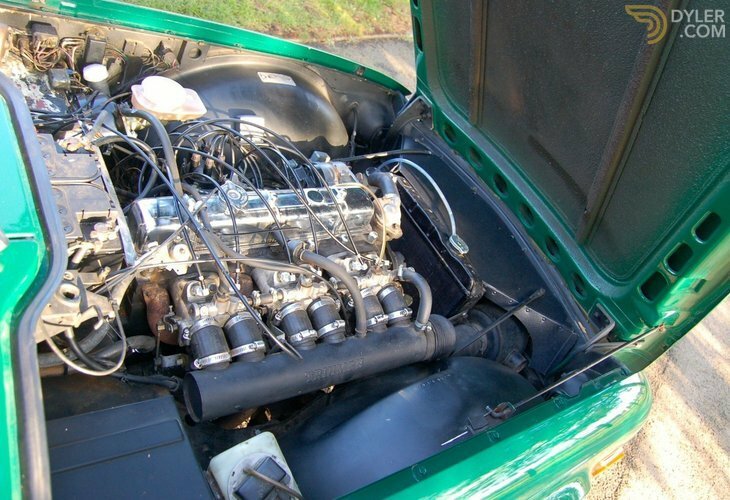 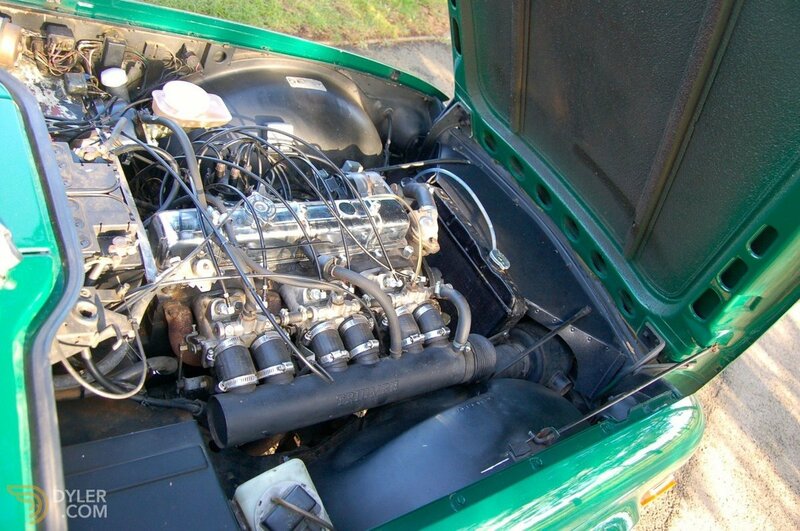 The car was shipped back to the UK, all Taxes paid and totally re-commissioned. 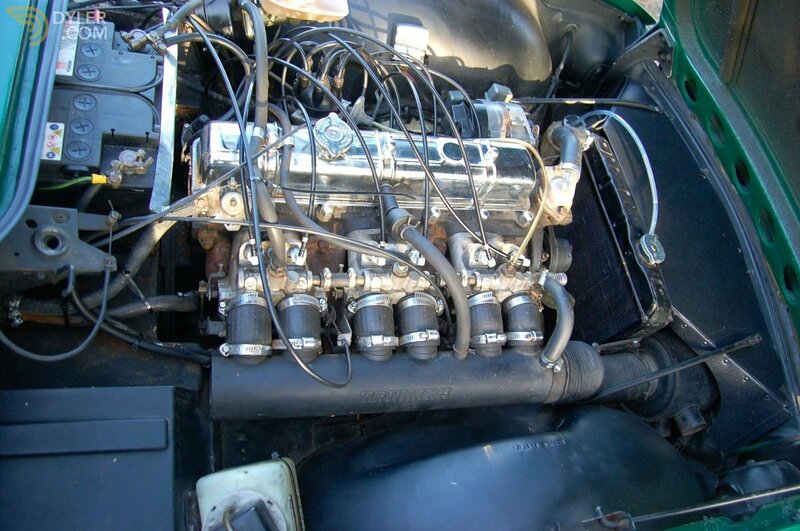 The fuel tank and all fuel lines replaced, fuel pump, fuel filter, fuel distributor and injectors replaced. 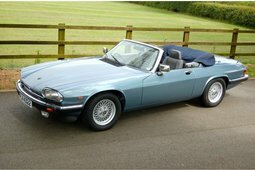 Clutch and brake master cylinders replaced and the cooling system flushed with complete new hoses fitted, all fluids and oils changed to make the car run and drive so well. 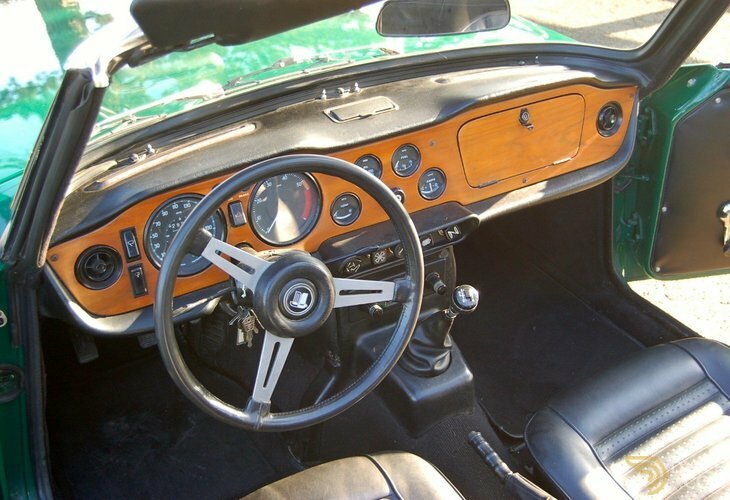 The car has overdrive and a factory hardtop, which is still in its original white paint finish.